What Are Title Set Up Fees? The fee for setting up your title and publishing your book depends on a number of factors: primarily the book size in terms of number of pages, whether you want your book in paperback or hardback or both, and how much work is required to bring your manuscript up to a 'print-ready' standard suitable for publication. Formatting your manuscript, minor grammar correction and spell checking are included in the title set up. Editorial work is in addition to the title set up fee and negotiable depending on how much work is required. Generally speaking, Inner Vision Press does not edit an authors work as I prefer the book to sound more or less exactly as the author intended it to sound, in their own voice and not heavily diluted by extensive editing. The title set up fee can be anything starting from £150.00 ($250.00) depending on the level of work required. There are also additional factors to consider, for example if you would like copies sent to you upon completion of publication, if you would like your title included in the Ingram Advance catalogue, a one-time marketing opportunity, and there is also an "Advanced Marketing Option". No. When we agree on the set-up and publication fee there will be no other fees to pay, unless you decide to initiate additional marketing for your title independently. How Soon Will My Book Be Published? This depends on my current workload and the size and amount of work required to bring your manuscript up to print-ready standard. If you have a near print-ready manuscript this reduces the time to publication considerably. Obviously if I have to manually scan every page of your book and recognise the text using OCR it is going to take a bit longer! You can realistically expect to see your book on the shelves within three to six months of acceptance of your manuscript, although it could be a lot sooner, or in some circumstances, a little longer. Can You Provide Marketing For My Book? At this time Inner Vision Press only provides limited marketing. This includes listing your title with global distribution databases, producing press releases and submitting your meta-data to all the major search engines. Your book is also marketed to the Waterstones chain of bookstores in the UK and promoted across a broad range of social networks including the Inner Vision Press blog, Facebook, Twitter, Myspace and through our channel on Youtube. Our main aim is to publish your book in a timely manner and give it the widest distribution possible at launch. The author is responsible for their own marketing strategy for example, organising book signings, radio/television/press interviews, advertising in newspapers and magazines, book reviews, distribution of flyers and leaflets, business cards, etc. Although Inner Vision Press will support you and consult with you in this regard. What is the Advanced Marketing Strategy? For an additional fee, your title is marketed through a carefully crafted press release to over 30,000 media outlets and reviewers for consideration. 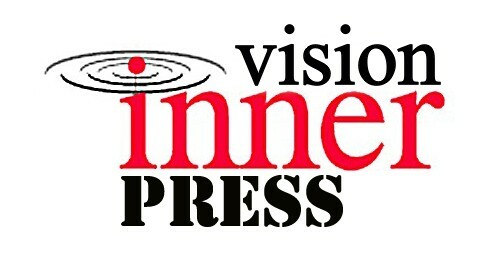 Inner Vision Press has partnered with an independent third party media company who, over the past seventeen years, have become one of the dominant press release distribution services for self-published authors, offering e-mail distribution of releases to specific writers and reviewers in major print, trade, radio, television, and blogs. The press release service is targeted primarily to the US retail and media market. The goal of Inner Vision Press is to provide our authors with a quality distribution service that increases their exposure among media outlets and reviewers. After distribution, interview and book review requests are sent to us by the contacts. These requests are prioritized and forwarded to our clients for processing. Upon publication your book will be listed on major retailers web sites like Amazon.com, Amazon.co.uk, Kindle, Barnes and Noble, Waterstones, WHSmith, Blackwells, The Book Depository, Google Books and literally hundreds of independent book retailers on-line. Your book may also be ordered and stocked by bricks-and-mortar, high street and independent retailers as well as schools, colleges, universities and libraries worldwide. Your book will also be converted into ebook formats and available to download for e-readers like Kindle, Adobe, Nook, Sony, as well as iPad, iPod, and iPhone through the iTunes store. What happens When I Sell A Copy Of My Book? The more books we sell the better it is for both author and publisher, and hopefully the whole world gets to benefit. When someone purchases a copy of your book, the order is sent through the distribution channels and the book is printed 'on-demand'. This means any number of your books can be printed and distributed at very short notice. The printed book is then sent directly to the customer/retailer and the sale is recorded. Will My Title Ever Go 'Out-of-Print' ? Your title is 'print-on-demand' which means it will never go 'out-of-stock' and will never go 'out-of-print', unless you decide to unpublish your book for some reason. Can I Purchase Copies Of My Own Book? You may purchase copies of your own book at wholesale discount at any time after publication. The more copies you purchase, the greater the discount. How Many Copies Of My Book Can I expect To Sell? This depends largely on you. If you are a first time author it is not reasonable to expect to sell a million copies of your book in the first year, although this is possible, it is unlikely. Inner Vision Press makes no guarentees as to the number of book sales the author makes. Having said that, if we decide to go ahead and publish your book it is because I strongly believe the author has something of value to offer to the world, and the author having made an investment in the publishing process feels the same way too. I would therefore realistically hope our venture will be a mutually rewarding one. What are the Royalty/Commission Terms? Inner Vision Press pays the author exactly 50% of the profit of all copies of their book sold through all retail outlets and distribution channels. This works out approximately equal to 25% of the retail value of the book sales. How Often Will I Be Paid Royalties? All authors are now paid quarterly. Royalties are paid three calendar months in arrears so for example, for the period of January to March you will be paid at the end of June of the same year. You will be provided with full sales reports and commision statements to this affect. If you live in the United Kingdom you can choose to be paid by physical cheque, by Paypal or directly to your designated bank account. If you live outside the UK you can choose to be paid by Paypal only. Will I Be Under Contract And Who Will Own The Copyrights To My Book? You will not be under contract to Inner Vision Press. When Inner Vision Press agrees to publish your book I will send you a 'Publishing Proposal' which will be an informal agreement which will reflect commitment to the level of service I am willing to give you. If you accept this and Inner Vision Press agrees that your title is suitable for my list, we can then go ahead and publish your book. You will be the copyright holder of your original work and Inner Vision Press will be the copyright holder of your finished publication. You are free to publish your work elsewhere at any time. If you have written a book or are near completion and would like Inner Vision Press to consider your title for publication please contact me to discuss your requirements. You may contact me by email or you can use the 'Contact Form' on this website. Alternatively you may send the complete manuscript or a few sample chapters along with a short appraisal of your book, to the address on the 'Contact' page. Please include details of any marketing and promotional opportunities you can provide and a stamped, addressed envolope if you would like your manuscript returned to you. 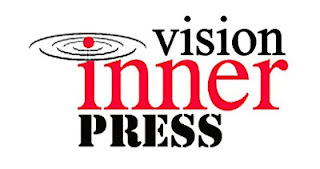 There is a £7.00 ($12.00) yearly catalogue listing fee from my printers which I will be passing on to all authors who have their book published with Inner Vision Press. If the author makes at least ten book sales in one year from the anniversary of the date of publication (either through the retailers or through their own purchases) then the fee will be waived. If two consecutive years pass without making ten sales per year, Inner Vision Press reserve the right to unpublish a title, giving the author at least one months notice in writing. Can I see Any Previous Titles Published By Inner Vision Press? What Inner Vision Press Will Not Publish! anything that promotes hatred, religious or cultural differences, the occult or black magic. Copyrights Inner Vision Press 2013.